Jennifer Granholm, the first woman to serve as a Michigan's governor, is leaving office after two terms. Governor-elect Rick Snyder will be sworn in on January 1. "Q: What have you learned about gender politics that women thinking of running for office should know? "A: The gender issue is becoming more and more irrelevant, and I think that's healthy. For a woman running in 2011 or 2012, I still think it's important not to exploit gender in a way that calls attention to it. I mean there was that woman in Macomb County (County Commissioner Carey Torrice, who lost her August primary after a syndicated talk show named her the "hottest politician in America"), who may have used gender in an inappropriate way. "Q: Or Sarah Palin in shorts on the cover of Runners World? "A: I don't know, was that exploitive? I didn't see that as being sexist. I saw it as promoting health. "Q: How angry did it make you when pundits said you'd made it impossible for another female to succeed you as governor? "A: Those who were saying that, or who thought that, wouldn't have voted for a Democratic woman anyway. I mean, if people think my gender had something to do with Chrysler and General Motors declaring bankruptcy, then they have got more serious problems then we are discussing here." 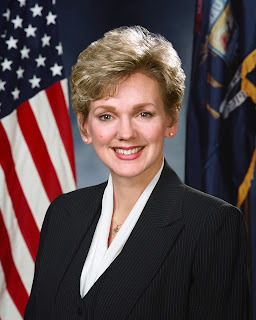 And yet, if there are no other women waiting in the wings of Michigan politics, Granholm might be our last woman governor for quite some time. 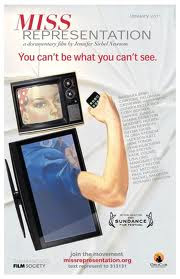 Also see: Granholm & Mulhern set an example of modern gender roles.